Imprint for this log book is available here. 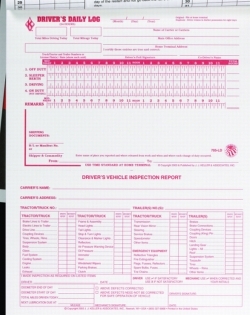 This 3-ply 2 in 1 Driver's Daily Log 606-L is a Book Format A log book that has "NO" recap but has a Detailed Driver's Vehicle Inspection Report (DVIR) printed on the front which is perforated for easy removal. This log can also be used for compliance with DOT's Hours of Service Rule. 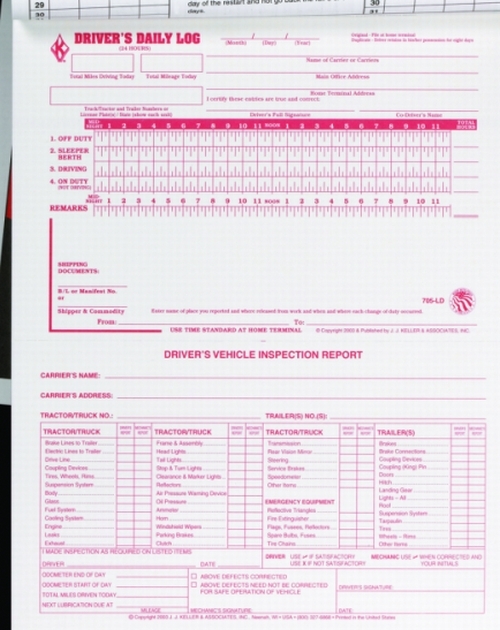 This log book also features a monthly summary sheet with instructions for the 34-hour restart provision, and a summary of DOT's Driver's record of duty status regulations to help simplify compliance.